The new year has brought with it a set of changes on how products and services are marketed by online businesses. 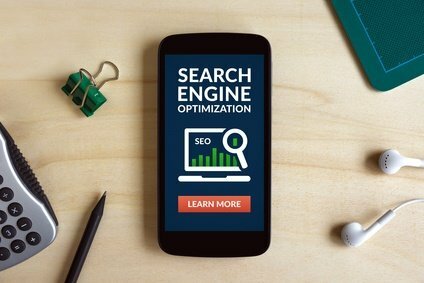 There are also changes in the way marketers apply search engine optimization (SEO) to improve the ranking of their website in search listings. Even the way people surf the Internet has changed. However, some of the trends that worked in 2016 would continue to be effective in 2017. Users in the U.S. alone make as many as 12 billion searches every month on the web, according to hubspot.com. Further, 50 percent of the mobile searches are done for obtaining local results and 61 percent of these searches end in purchases, as revealed by searchenginewatch.com. Therefore, SEO is very important in order to drive traffic to your website, improve visibility, build credibility and boost your brand. According to searchengineland.com, SEO is all about driving traffic from organic and paid sources to secure ranking on search engine result pages (SERPs). It is normal for search engine rankings to keep changing, but it is important to ensure sure that your website is built in the right manner and you are regularly posting high quality content for the purpose of driving traffic. An article published in quicksprout.com noted that a web page showing up within the top 10 listings on Google SERPs for any keyword has a minimum of 2,000 words. Search engines have already started giving more importance to content from the social media sites such as Twitter, Facebook and LinkedIn for the purpose of ranking websites. According to experts, 76 percent marketers make use of the social media to support as well as boost their SEO efforts. In 2017, the use of the social media will be much more than the previous years. As Google, Bing and Yahoo would index more social media content than ever before, the line separating the web and the social media as far as SEO strategies are concerned is likely to become blurred. Therefore, beginners should be prepared to use social content in order to optimize the visibility of their web pages. Videos help a great deal in keeping your audience not only entertained but also engaged. If you use enough videos on your web pages, the chances of them getting ranked higher on the SERPs are very high. Reports show that videos make for sixty-two percent of all Google searches. Further, Google has started paying more attention to blended results. Experts say that web pages with videos are given fifty times better organic page ranks by Google than plain, static text pages. Moreover, the click-through rate garnered by video searches is forty-one percent higher compared to plain and static text content. • Four out of five consumers shop using their smartphones. • Seventy percent of mobile searches result in action within one hour. • More than a billion people access the Internet from their mobile device. • Globally, the mobile traffic accounts for fifteen percent of all traffic on the Internet. • Ninety-five percent of smartphone users search for local information. People who are always on the go prefer to use the voice search feature because it is not only more convenient but also safer. This is especially true when they are driving or multi-tasking. Another reason as to why it has become a key part of mobile usage is that it takes eliminates the need to type keywords when running a search query. Almost all of the mobile devices with the voice search function built into it. However, you should make sure that the content on your web pages is easily searchable with the help of the voice search feature by making use of long-tail keywords. A study carried out by Google found that voice search is mostly used for finding directions. Local searches are growing stronger every year. It is predicted that local SEO would gain solid grounds starting this year. As a beginner online marketer, it is essential that you let Google know your location and what your offerings are. This increases the chances of your website showing higher up on SERPs, specifically in front of your target audience. It is, therefore, a must that you have local pages, which contain the name and address of your business, with Bing, Yahoo and Google. • Local searches lead fifty percent of the mobile users to the stores within 24 hours. • More than 60 percent of the consumers make use of the local information included in ads. • Fifty percent of the mobile searches are done to find local results. In conclusion, you must make all efforts to expand your social media presence, use videos in your content, optimize your site for mobile devices, include the voice search feature and focus on local SEO in order to drive organic traffic in 2017.